Cuz said: “Cathryn was amazing, caring for mum with such compassion and sensitivity at home so we could spend precious time with her there. In fact, mum was able to remain at home with us almost until the end, when she required care at Turnchapel in her final few days. 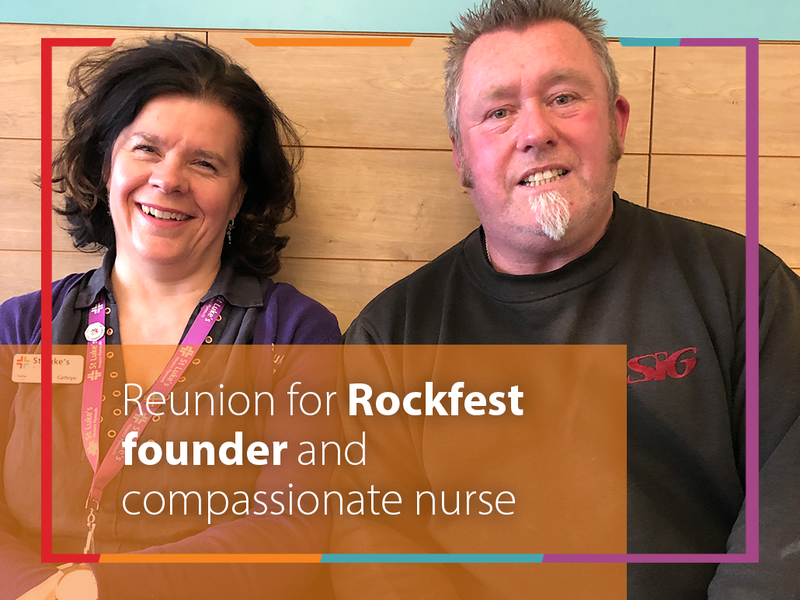 It’s the memory of much-loved Dot – and his gratitude to Cathryn and her colleagues – that has inspired Cuz on his mission to raise an incredible £100,000 for our charity through Rockfest, the annual live music extravaganza he founded, which has built up a large, loyal following since it began 11 years ago. This year’s event, happening over Easter weekend at Crash Manor, Union Street, is once again a must for lovers of live music, including genres ranging from rock to reggae. And, with £90,000 already raised from previous years, thanks to Cuz’s hard work, the bands who kindly perform for free and the local businesses who donate raffle prizes, that Titan of a target is within touching distance. So, if you want to enjoy the electric atmosphere and help Cuz reach £100,000 for St Luke’s, helping more families who need us, roll up on 20 and/or 21 April and get your tickets on the door. You can find out more, including the line-up of bands here!